Create a list of clubs and give each club a ranking of 1 thru 10. Please only rank clubs you have done business with in the past 18 months. You can comment to 50 words or less following the list. Those that exceed the limit or bash the clubs will find there reply has been removed. This list is not to attack any motor club, it is to showcase the top club. Motor Clubs should strive to be at the top of the list. No funny business here this is serious, if you are doing Motor Club work then you should desire to see at least one Motor Club strive to be at the Top of the Tow411 Motor Club List. Now lets make this active semi annual topic extremely popular. If you prefer, inbox me your list. This survey will end on or about December 1, 2018 (original topic may change at anytime). A email address will be added within a few days for those who do not desire to rank clubs publicly. For those who prefer to remain anonymous we have set up an email to submit your list. AGERO SEND MORE CALLS BUT PAY LESS THAN ALL THE OTHERS AND THEN TRY TO SHORT OUR PAY. KINDA PLAIN TO SEE THAT WHEN I SUBMIT FOR PAYMENT TO ALL THE OTHER CLUBS IM NEVER OFF MORE THAN A FEW CENTS HERE OR THERE BUT NEVER BY MORE THAN A DOLLAR. AGERO IS ALWAYS HUNDREDS SHORT AND REQUIRE HOURS OF FOLLOW UP THAT IS WASTED TIME. I LIKE ALLIED BECAUSE THEY PAY WITH A CC AND THEY PAY ALMOST OUR CASH RATE. the list that I have comprised is based on volume. I opinion they all start out good or we wouldn't work for them. with no substancial requests rate increases for over the last twelve years, some of the clubs have realigned zip code coverage's with out a vendor replacement. (in other words they are trying to get rate reduction) after twelve years?? politics? Don't have contracts with Honk or NSD but NSD is always easy to work with just not much volume. AAA is easy to work with just low pay have to watch every call to see if it pays or not. Quest I forget if we are contracted. Been a good few months since I had the phones. Nice needed break. what I don't understand is your statement about rates, how do you complain about low rates? did you not negotiate rates with them? if the rate is low why do you take the calls? not tryin to bust your onions, but if you gave low rates for work then you need to "own" that issue and change it till it suits you. In my opinion you have to know all of your expenses and how much you wish to make for wages including "workmans comp" and don't forget to figure in a percentage of profit for your company, once you have that figure (your rate) the most you afford to discount is 20 % for volume. just my opinion. Well its not really like the way you seem to explain. our area rep is a young cocky punk and we they switched we got screwed. I used to have great rates and did 20 calls a day for them and they changed area reps he took my primary because he said he can get it done alot cheaper by not having me as a primary provider and pay my premium rates so he hacked them by a ton and said we take them or leave them. So It was pretty much he was doing it either way so i stopped taking there calls except when i have time or i cherry pick them because they refuse to give us what we originally signed on at. so its not really something i can control. Let me be clear here, im talking about 10 bucks a hook and .75 cent a mile each way less money. I said ok make us non contracted provider that gets a cc when you call. He refused and said too many providers in my area he don't need any non contracted. so they went from top of my list to bottom. Coachnet became Pinnacle a couple of years ago. I do not know if they are continuing to operate under Coachnet. I do now that when they attend Tow Shows the Signage is Pinnacle now. So, Coachnet will be represented in the final ranking as Pinnacle. I am getting several email submissions, in order for the to be entered into the final ranking it must be follow up by a TowForce Membership. If you are already a member the email submission has been verified. 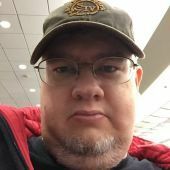 Those not verified will receive a membership status request. I want to thank all who have contributed to this point and there is still plenty of time to make this the most successful Motor Club Ranking in Years. well, its to put myself in your shoes , but I have had some of the same experiences , I had to make a hard choice, I gave up 80 -100 calls a month because of non payment of a lot of po's they refused to pay for the po's that were completed and dispatched for. I refused further po's , they keep calling and sometimes I get the call and credit card, and sometimes I don't it was hard choice put my head into the work and found different sorces for revenue. just don't tow haul equiptment, freight, scrap cars, move sheds. don't lose any money any more ,still do motor clubs but on my terms , but everybody get excellent severice from me. I work harder sometimes for my money. All this is the reason this annual Motor Club Ranking is so important. Even though we average around 100 submissions to the survey, I do not believe that there would be much of a difference were we to have 1000 responses. Though another 900 participating would be of great valve. With that said, one of my factors used in the ranking is missing due to the level of activity being depleted because of moving the forums. I will factor in comments found on FB, Twitter, Instagram etc. to reach a ranking list. For those that have not participated in the past. At the close of the submissions, the list is presented to the membership for discussion. Tow411 has been the only industry source which dares to compile this Ranking List. Other industry sources do not dare enter into this type of discussion because they sell advertising to the Motor Clubs. "News Flash" most Motor Clubs Upper Management has great interest in this survey. Every Motor Club actually strives to be number one. Only two motor clubs have chosen to support the Towing Information Network. They consistently rank at the top because they actually care about what is being said on social media and particularly on TowForce. Tow411 was a Force in the Industry, the old system broke and we got serious about being more than a "Towing Information Network". Jump in here we are a Tow Force in the world of social media! We are doing less and less for clubs over the years. We watch the numbers close and take what is profitable for us. If it isnt profitable, we tell them a price (usually $175 or more) via credit card up front. If they take it, great, if not, no loss to me. The first two on our list are great, and ill do most anything for them, anytime anywhere. The rest when its convenient for us. 1.) Tesla- They are polite, provide good info and only want to take care of their customer. They pay excellent and on time. 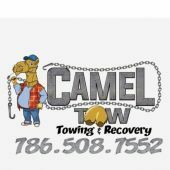 They provide step by step towing instructions for each model as well as offer 24/7 support for us to call a tech line if we have trouble. 2.) NSD (Nation Safe Driver)- Been with them for years. They have always paid fair rates- excellent response rates from my rep, and they do what they can to help us help their members. 3.) Honk- as much as I hate to admit it, they have been great to us lately. They pay us very well- i set our rates high, app is easy to use. Credit card within an hour of completion. Downside they call us a ton asking for updates and wasting our time. 4.) Agero- I dont do much for them as a contracted provider- local only, we accept what makes sense for us. The only reason they rate this high is that the rep contacted us a few month ago offering us better rates (still not great), and she has been great to work with after miserable reps the last 5-6 years. They also call us a ton when providers cant help and they pay big $$$ credit card up front. 6.) Geico- They refused to contract us- their reason is sufficient coverage in our area- when they call us they wont pay up front with a card- however they will pay well, just takes a few weeks to get a check. 7.) Urgently- Tried working with them as a contracted provider for a while- too many short payments then they refused to pay us on a jump start service that the member refused as they wanted a battery installed on site and not a jump. Switched them to credit card only- now they hardly call unless they are in a jam and when they do we charge them dearly. 10. )Gerber/Net-Cost- had payment issues years ago, cut them off. Did a job this year credit card up front, got to it and they had another company there. Did a chargeback and refused to pay for our time. Never again will I tow for them. 1) AAA- large amount of volume quick accurate payment. 2) ALLSTATE- won't contract with us so we get a credit card and boy do they pay. 3) HONK- very low volume but very easy to work with and we set rates. 4) QUEST - very low volume good rates quick payment. 6) GIECO- used to be great we did anything they asked because they were willing to pay to take care of customer. We have a new rep that cut our rates and never returns calls. 7) AGERO- when we first contracted with them we had a rep we could work with, since then it's a battle to get paid, battle to get rate increases, and a huge battle to get paid. 10) NSD- no longer contracted with them we had very little volume and they wanted cheaper rates than AAA. Noticing around here most towers that contract with motor clubs must be using them for fill in so when it gets busy (snows or gets really cold) our phone rings off the hook to go out of our area especially Agero. Gieco used to pay for all deadhead miles for any call outside our contracted area, now they want us to eat 15 miles and take a 33 percent rate cut. Guess you can tell we never go out of our area. 2. AAA (NCNU) --When we were part of MountainWestAAA and that was great, now it is Northern California, Nevada, Utah, Arizona, Alaska, Montana, and Wyoming and nothing is the same. 3. Agero --commonly confused about location and destination (a common one has been closed for 6 years), complex procedure for requesting extras, short pays not uncommon, poor communication, commonly lies to us and to motorists about the covered distance. Only 6 jobs so far this year with any other motor club. Yes, for those who prefer to remain anonymous we have set up an email to submit your list. Not a club contractor but I just had an experience with GerberNCS just like ESC's above. Was asked to do a jumpstart out of my area and took payment by card/phone, got canceled within a mile of the location, and two weeks later they hit me with a chargeback for the full amount. I have submitted my documentation and we'll see how that goes, but this is the first chargeback I have had in 18 years in business. I will NEVER help a client for them again, their "word" is worthless, literally. Thank you Mike for your response. I have received several email responses which included Tesla. I will be working to factor Tesla into the ranking this year. Results will be up for further discussions after January 1, 2019. We're getting closer to the first review of the rankings. Combined total of submissions are just over 100. Problem is I was really hoping for closer to 200 this year, maybe that was too high of an expectation with the regeneration of the message board on a new system. While I am bringing up the regeneration and the Message Board getting it's own Identity. Yes, it will always be Tow411, but that did not convey the Force this community has had in the Towing & Recovery Industry. TowForce will bring Seasoned Tow Operators and Rookie Tow Truck Drivers together in a venue that is more structured then other social media outlets. Merry Christmas & Happy New Year. Make time for Family & Friends this Holiday Season. A Friend is feeling down, you have a phone with you nearly 24/7. Use It, even if you have not spoken to them in a while. Do Not Text or Text Them First, But Do Not Leave It At A TEXT. I have been in 3 different places over the past week where someone broke bad news to someone by TEXT. Please never do that, if it can wait do it in person or give them a call when you know they are not working. And Face Time is not a substitute, it's ok for chit chat. It's Rude for Serious Issues. Be Careful Out There! 2018 Motor Club Ranking is now closed. I will be assembling the list for review. Once the list has been reviewed and discussed it will become official. Thanks to all who participated.